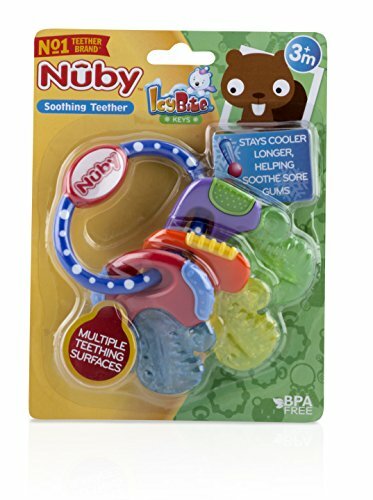 Nuby’s BPA FREE IcyBite teething keys are perfect for when front teeth first begin to show. 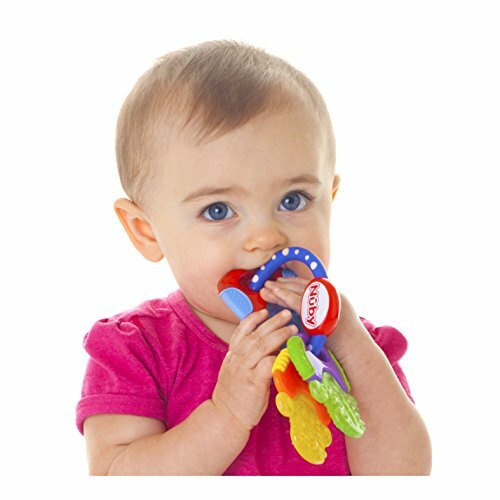 When placed within the refrigerator the purICE Gel lets in the teether to stick cooler for longer. 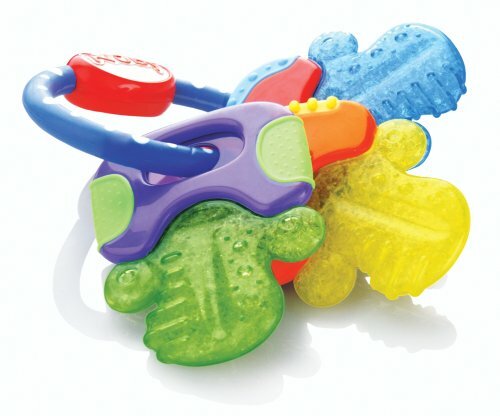 The cool textured surfaces soothe and stimulate sore gums safely. The teething nubs lend a hand massage tender gums. 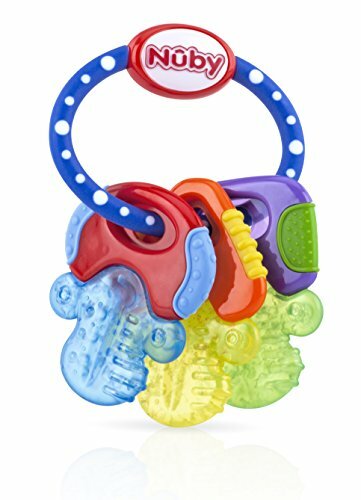 The brilliant colorful shapes stimulate your baby visually and lend a hand with hand eye coordination. 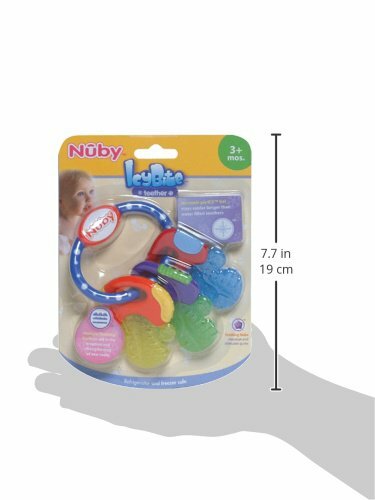 Nuby’s IcyBIte Teether Keys are small in size however large in a laugh!